Just got a round over bit in and wanted to see if it was easier on the shapeoko3 or router table. Just messing with organic shapes and round over bit. So which ended up being easier? I’m curious as I’ve thought about this a lot, I have a router table in addition to my XXL and haven’t given it a try yet. What software did you use? Guessing you just did an offset tool path of some sort? Cool stuff! 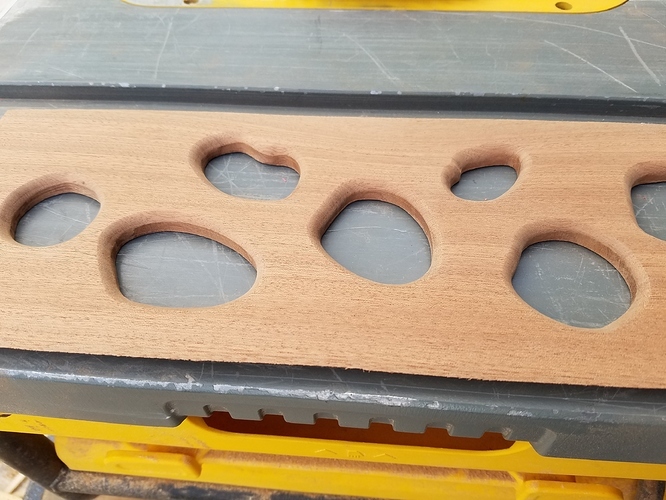 Nice, I’ve done the inverse of this with a bullnose bit and I’ve always wanted this type of edge detail… can you show us a pic or post a link to your tool? I’ve wondered about some of my router bits for this. I’m curious too. My Shapeoko is much more accessible than my router table. The router table has been pushed back in the corner and become a place to store stuff! Well I think initial set up is easier on router table. Once you get SO3 set up to use the bit, it is easier. 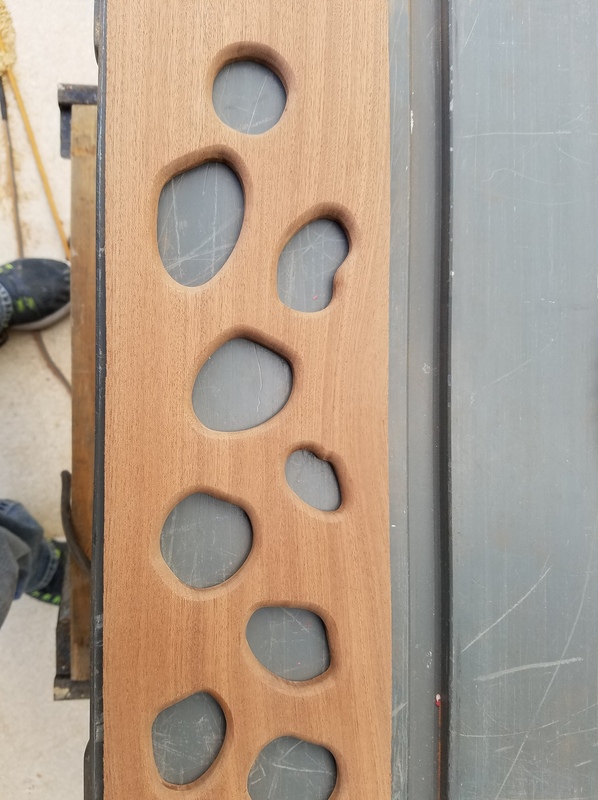 When I ran the tool path I ran “ON” the design, no offset with v carve pro. I used what is called a plunging round over bit. Ahh, I see now. None of my round over bits come to a point like that, so I would have to write an offset path by the radius of the center of the bit. Very cool, and for $22 well worth the investment. Thanks for the info! I really like this look of this, Danish, mid century modern. And the ege treatment is perfect for those shapes.